Brilliantly space-efficient, the Juwel Trigon models help turn a tired corner of the room into a stunning centre of attention. 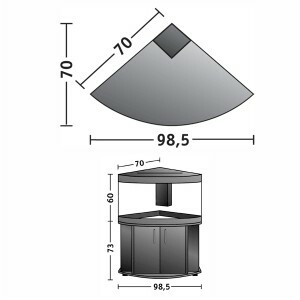 The Juwel Trigon comes in two practical sizes, (350 litres & 190 litres) and is a popular aquarium with many professional fish-keepers. 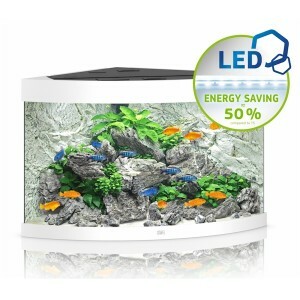 Like all Juwel models, Trigon aquariums have an exceptionally high build quality and technical excellence, plus they come READY TO USE, with lighting, heating pump & filtration included in the cleverly designed (and hidden) corner housing, which enhances the look of your aquarium and makes maintenance simple. 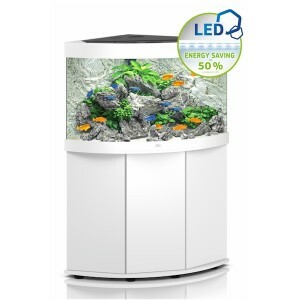 Take a look at the Trigon 190 marine set up we have running in store. Fish, decoration and plants are for illustration purposes only and are not included with any aquarium.